Social networks ebb and flow in terms of popularity and usage, which can make it difficult for a brand to take advantage of the next big thing. Thankfully there are certain veteran platforms which, because they provide such a strong core value to their users, can be relied upon to build a branded presence that will continue to deliver results. Launched all the way back in 2003, LinkedIn is one of the most enduring social networks. Even that now common term does not do it justice, as the site is focused more on professional networking and career development than personal friends and family. With almost 350 million users worldwide and more than 100 million in the United States alone, LinkedIn is a destination for a diverse set of users, many of whom are highly engaged. Some are even willing to pay for the privilege, which is something that few other networks can claim. As a result, this is a platform where major names choose to lay a foundation and build their brand. In a hurry to get competitive Linkedin data analytics? Click on the button below and take Unmetric for a free trial right now. With its professional base, it makes particular sense for most B2B businesses to establish a brand identity on LinkedIn but B2C companies also have potential and we see many well known consumer brands doing well on the network. LinkedIn’s significant user base and finely tuned content delivery system makes for a powerful location to market consumer goods, especially to higher-spending demographics. This is a platform uniquely positioned to connect user employment history and trends to brand communications and content. Income is an important demographic consideration, for example, and one that is often possible to infer based on job title. Furthermore, the type of content that users engage with is an important signal available on LinkedIn. Any professional can now publish their insights and thought leaders are quickly rising up to meet the challenge. This final point highlights an important area of LinkedIn marketing: connecting personal brands with corporate identity. An individual following is only valuable to a brand if it can be translated into greater exposure for the employer, and a brand can only build a following on the platform by understanding the kinds of content that individual users respond best to. In both cases, LinkedIn content and user analysis is required to inform decisions and align social strategy with business objectives. In a bid to find its place in the sun of online advertising, LinkedIn has significantly expanded its content marketing platform and insights in recent years. As Ad Age reports, the company’s new “Content Marketing Score” measurement aims to wrap up the entirety of a brand’s content initiatives on the network, personal and corporate, organic and paid, into one overall indicator of effectiveness. This move to deeper data insights is exciting for anyone just starting out with content marketing here. 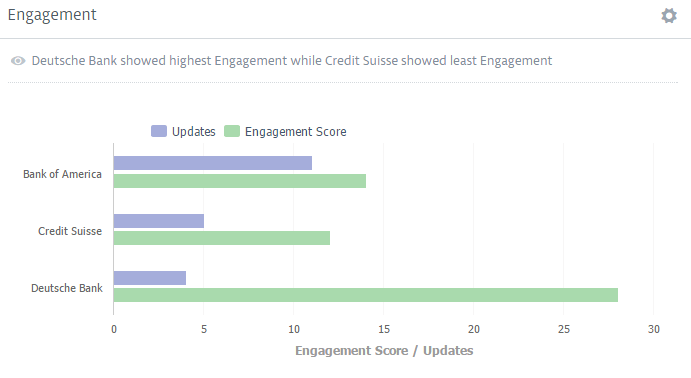 On the surface, most of the information available relates to LinkedIn post analysis, presenting data points mainly related to reach and engagement. 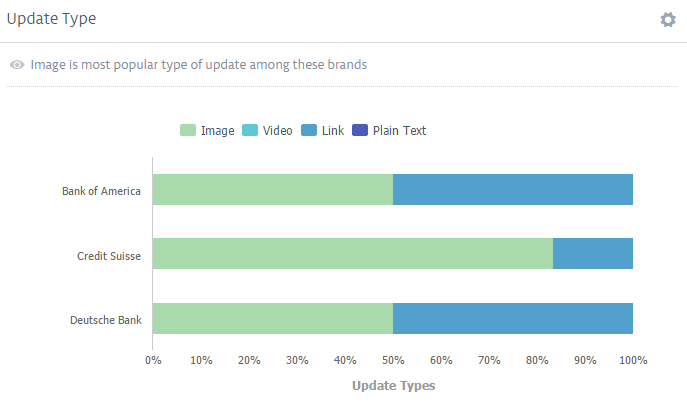 The platform’s dashboard will show impressions, detailing how many user feeds an update has made it into, followed by actions that readers have engaged in, such as clicks, likes and shares. Linkedin is also providing some high-level follower analysis, including totals broken down by organic and acquired followers, and demographic data for those users. But for professionals and brands with a more substantial stake in the platform, the desire to have deeper LinkedIn technical analysis should lead to a search for more advanced tools. There is a lot of data bubbling under the surface of LinkedIn, to which third party analysis tools like Unmetric provide access for brands with a need for more sophisticated analysis. Every piece of content counts when it is being consumed by high earners with limited time on their hands, so learning quickly and making data-driven decisions is crucial to creating engaging campaigns. Where these deeper analytics truly come into their own is for performing competitor analysis on LinkedIn. The platform’s in-house analytics extend to common user data points such as follower count, engagement, and content reach. Though all this is useful information to have available, analyzing the competition requires access to comparative data sourced from other brand pages. A third party intelligence platform digs into the information of 30,000 pages across 30 different business sectors, providing a rich landscape for brand managers to compare their own page’s performance. From this base, it is possible to set up industry benchmarks and identify content best practices that inform day to day content decisions. Where there are comparative gaps in organic performance, relative to competitors, this information helps a brand to decide where paid advertising dollars should be allocated to have the most impact. Once benchmarks have been set and performance indicators established, attention turns to reporting. Here again a third party platform is helpful, providing the ability to customize reports that are then exportable to commonly used presentation tools like Excel and PowerPoint. This saves a lot of time when considering how much data entry and manipulation is required to pull the same numbers manually. KPIs should be charted alongside industry standards so that changes in strategy can be viewed in terms of their impact on the wider competitive landscape, as well as past performance internally. 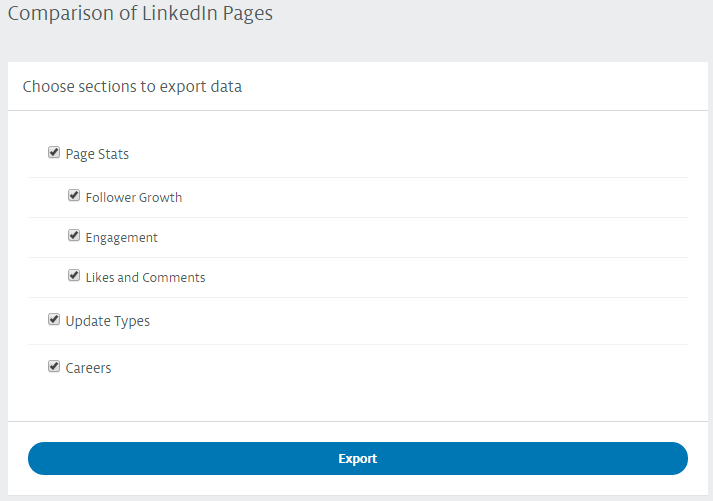 With data exported and visualized in these outside packages, LinkedIn trend analysis becomes a lot easier to manage. The insights gained by comparison and clearer presentation of information should feed into regular reviews of content strategy, which can in turn be aligned to wider business objectives. LinkedIn data analysis can be a tough nut to crack due to the wealth of information available under the surface. For companies and agencies who want to move beyond basic brand analysis, having a more capable business intelligence platform provides the access and insight required to clarify performance and make more informed decisions. Sign up for a free trial or demo to take all these awesome features for a spin.